The tense conflict between Hong Kong actor Anthony Wong and Taiwanese singer Show Luo heats up once again after the latter allegedly made a dig at the veteran actor by constantly requesting fans to repeat his name during his four gigs in Hong Kong last weekend. Anthony had previously exchanged harsh remarks with Show's fans, commenting that he did not know the 33-year-old, indirectly referring him as a "nobody". Alan Tam, who was Show's final guest-performer at his concert, volunteered to play peacemaker between the two artistes by "treating them to meals, poker and karaoke sessions". He even spoke up for Anthony and explained, "I heard you [Show] have some misunderstanding with my longtime friend. [Anthony] often has an unusual way of expressing his thoughts. When he calls you stupid, it means you are courteous." Anthony criticised Alan for being a "busybody", and mentioned the veteran singer was "uttering nonsense and doing the unnecessary onstage". Although reports suggested Show intended to make peace with Anthony, the Hong Kong actor still seemed furious over the Taiwanese artiste's behavior. "I don't know [Show] in the first place, so I'm not interested to be friends with him. There's no argument involved between us, his fans are the ones stirring up trouble," he added. Really What in the world is going on with these two??? Can't they just put in it in the past??? LoL. holy crap. why hasn't this ended. it's because of the media. media. stahp. seriously. stahp it. Oh god~ When could it end this news?! I'm so crazy.. Augh!! STOP IT!! oh man this is annoying...why is it up again? Following recent reports on Anthony Wong's rejection to make peace with Show Luo through peacemaker and veteran singer Alan Tam, netizens who were believed to be mostly Show's fans, blasted Anthony on his microblog again, leaving crude remarks on his personality. The Hong Kong veteran actor became irritated by these disputes, and expressed his dissatisfaction, "What's happening? Everyone says I'm using [Show] to create publicity. Am I the one holding a concert now? Please stop harping on this issue. I'm very old now. Stop harassing me, I'm being mentally molested!" The 51-year-old also allegedly referred to Show's fans as "mental patients" after he posted in his microblog update, "There are so many mental patients appearing recently. I refuse to respond to any of their questions." Meanwhile, reports suggested Anthony stressed that he did not know Alan well and "both of them were not considered friends". He declined to explain further on his "busybody" criticism on the veteran singer. "Stop! This matter will not come to an end if I talk about this again," he added. The actor had exchanged harsh remarks with Show's fans almost eight months ago, commenting that he did not know the 33-year-old, indirectly referring him as a "nobody". He was reportedly unhappy with Show after the latter allegedly made a dig at him publicly during his concert in Hong Kong last weekend. Actor Anthony Wong is recently angry with Alan Tam trying to be the middle person in ending his conflict with Taiwanese singer, Show Luo. Asianpopnews website reported that Alan Tam, who was invited to perform at Show Luo's final concert held at the Hong Kong Coliseum, told the Taiwanese singer, "I heard that you and my old friend have a feud. Actually, Anthony Wong is a cultured person in an inverted way. When he said that you are a 'Mao Li' (fool), he is praising you by saying you have 'Li Mao' (politeness)!" The veteran singer-actor continued, "Do not be too calculative. Let me ask my friend, the 'mao li' surnamed Wong to have high tea with you. And then we can have a meal and karaoke session." 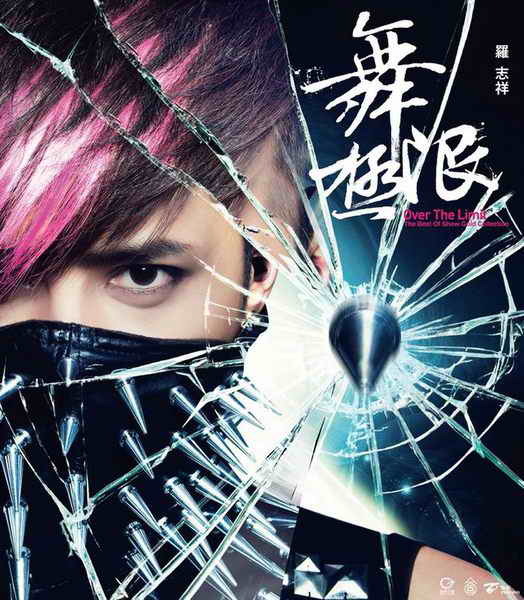 When Show Luo agreed, Alan added, "The nobler you are, the more successful you will be!" However, when notified about it, Anthony Wong was not amused with Alan Tam's gesture, stating, "What is happening? There is nothing happening at all. It is so funny. 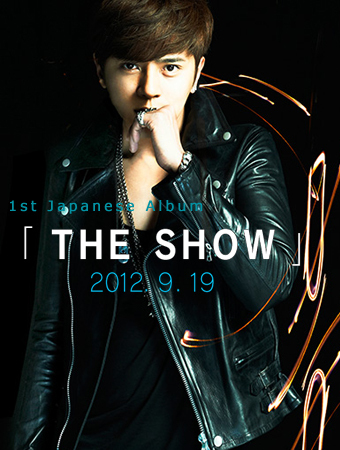 Everyone said that I am using Show to create publicity [for his new theatre show]. Am I the one holding a concert now?" Anthony stated that Alan doesn't know anything and will create unnecessary misunderstandings, and begged for Show Luo's fans to let him off and stop harping on the issue. He expressed, "I really do not wish to have anything to do with this matter anymore. I beg all those foolish and crazy people not to harass me anymore. I am being molested mentally! I am so old already. Please let me off." I don't think Show's fans are in the wrong here. It's just the stupid media. Always dragging out any negative news. Can't they just write about happy things? He was reportedly unhappy with Show after the latter allegedly made a dig at him publicly during his concert in Hong Kong last weekend. the media totally made that up. 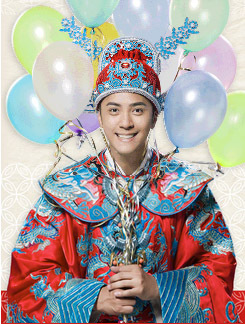 When Show sings "Yi Zhi Du Xiu," he always goes, "I am....?!" and the audience screams, "LO CHIH HSIANG!" how is that even a dig at the old man? the media needs to stop . seriously . PLUS, anthony wong already said that he didn't know Show's full name, he always referred to him as "Xiao Zhu (Little Pig)" (and this was MONTHS ago, when he said he didn't know Show....and then a few days later, he came out and said that he only knew it by "Xiao Zhu"), but the media wouldn't drop it, and keeps hounding him about it MONTHS LATER. but then of course after the media, anti-fans, and "fans" kept harassing him... he'll say crap to fight back? it's only human. just stop this already ! !